Indian Bead Craft kit is a collection of assorted handcrafted beads from different parts of India. 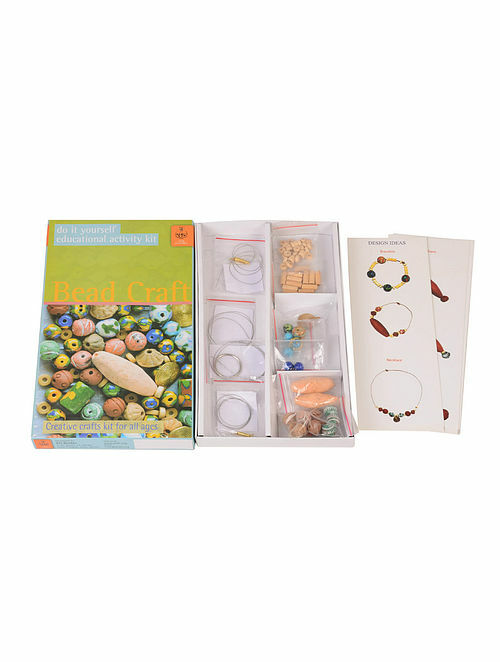 The kit contains 64 assorted handmade beads, 1 necklace kit, 1 bracelet kit, 1 charms kit, 1 keychain kit, with wires, hooks etc. and design ideas. The kit also contains a story on each bead, so kids learn about the crafts! Ideal for children above 5 years. A happy gift for any occasion ! Great return gift idea for birthdays too!